The focus on expatriates, by the Australian government continues sadly! In an effort to further target Aussie expats, the government introduced legislation last month (nov 2015) that will require Australian expats to repay HELP debts and student loans! 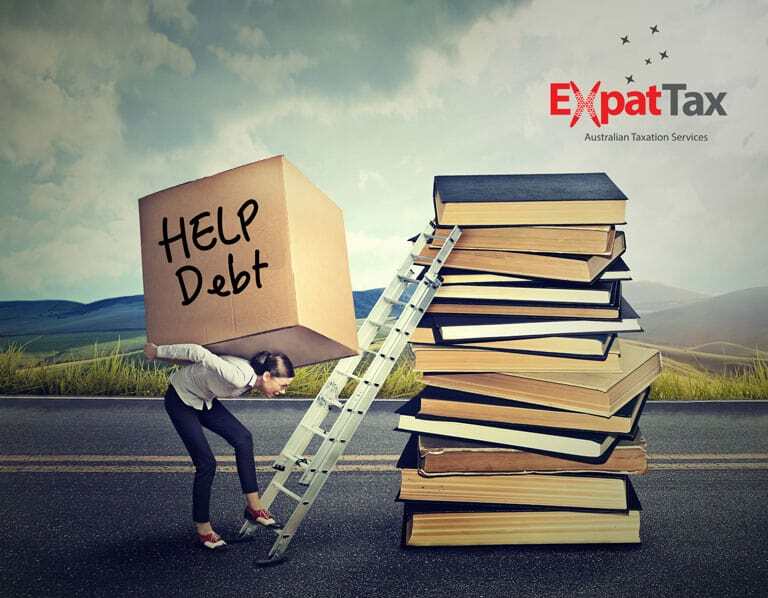 For the last 16 years or more, the vast majority Australian non-resident expats who had accrued a HELP (Higher Education Loan Programme) debt via previous study at an Australian university, have been able to legitimately avoid making HELP debt repayments after moving overseas. Until now, compulsory HELP debt repayments were only required to be made once a person’s Australian taxable income exceeded $54,126. This threshold is rarely exceeded by most non-resident expats and so no HELP debt has been required to be repaid! Happy days . . . however things are about to change, sadly! I earn more than $54,000 – why haven’t I needed to pay my HELP debt? Under Australia’s residency rules, non-resident expats are only taxable on their Australian source income (e.g. Australian rents, dividends, interest etc) and not on their overseas income. Thus, for most Australian expats, although your worldwide income generally exceeds the HELP compulsory repayment threshold, you’re only required to include your Australian source income in your Australian tax return. Consequently the HELP repayment threshold is rarely exceeded and thus compulsory HELP repayments were often, not required to be made most Australian expats. As of last month, the government announced that it will be seeking to close the loophole that allows Australian expats to avoid repayment of their HELP debts. In November, the Senate passed legislation to collect HELP loans from Australians who now live abroad but accrued their study debt in Australia. The legislation applies to both HELP (Higher Education Loan Programme) and TSL (Trade Support Loan) debts. If you’re an expat, you now need to consider your Australian student loan when you are living and working overseas. From 1st July 2017, if you’re an Australian expat or a spouse of an Australian expat and you have a HELP or TSL debt, the government will require you to lodge a tax return and declare your worldwide income to the Australian Taxation Office, even if that income is zero. If you are earning over the income repayment threshold, you the government will charge you a compulsory repayment amount for the year and issue you with a tax bill. The legislation commences from 1st January 2016 with compulsory repayments to take effect from 1st July 2017 (based on the 2016-2017 financial year). What are the thresholds & compulsory repayment rates? The current repayment threshold for 2015 is AU$54,126, and the repayment rate is 4% of your “repayment income”, rising to 8% of your “repayment income” but this is subject to change, so keep your eyes open for changes for the upcoming financial year. “Repayment income” includes a person’s taxable income PLUS any total net investment loss (which includes net rental losses), total reportable fringe benefits amounts, reportable super contributions and exempt foreign employment income and under these measures will also include an expat’s worldwide income. Ultimately, if you’re an expat living overseas and you have a HELP debt, you will be required to lodge a return from the 2016-2017 financial year, in order to notify the government of all of your overseas income, even where you don’t earn any income overseas . . . e.g. as in the case of a non-working spouse of an Australian expat. Furthermore, from 1st January 2016, if you’re an Australian expat with a HELP or TSL debt, you need to notify the Australian Tax Office (ATO) if you intend on being away for more than six months. You can do this easily with a myGov account, so you don’t have to phone and speak to anyone in a different timezone. If you’re already overseas, you’ll have right up until 1st July 2017 to register. You will ultimately need to self-assess your income for the 2016-2017 Financial Year and submit the details of your worldwide income to the ATO. The self-assessment is due, along with your Australian tax return, on the 31st October every year, or later if you use a tax agent such as ourselves. Are there any strategies that I can take? Short of reducing your income below the thresholds (never recommended), the only tangible strategy to reduce the amount of HELP payable is to consider making a voluntary repayment of your HELP debt. Doing so will attract a 5% discount from the government and thus save you a small amount. To gain the maximum benefit of this discount, note that your voluntary payment should be paid prior to 1st July 2017, and should be paid out in full. If not paid in full, the government, will levy a compulsory payment of your HELP debt for your 2016-2017 return and future returns until the balance has been repaid. Why are the government doing this? In relation to this measure the government has stated that they spend money on training and educating citizens, and thus want a fair system where every user pays an equal amount for their education, regardless of where they choose to implement their learning. The government reports that it will save more than AU$150 million over the coming decade by ensuring that offshore residents pay their student debts. What is meant by “foreign exempt income”? I called the ato and even they were unsure. Is income earned in an international organisation (such as NATO for example) which is non-taxable according to tax treaties & protocoles – included in this threshold amount? As it relates to your HELP debts, an Australian resident with a HELP debt is required to also include any exempt foreign income into the calculation to determine the level of HELP debt they must repay, even notwithstanding that the income may be exempt from tax. Currently this doesn’t apply to non-resident taxpayers with HELP debts because non-residents are only assessable on their Australian source income . . . this means that any overseas income, even if it falls into the three or four categories of exempt income above, does not need to be included in the calculation, as Australia does not have any jurisdiction over foreign (non-Australian sourced) income of non-residents. From 1 July 2017, non-residents will be required to declare their world-wide income (including income earned in an international organisation (such as NATO etc). That income, regardless of whether it is taxable according to tax treaties and protocols will need to be included, and just to be clear, the fact that you will be required to declare those amounts, does not change the tax status of the income at all . . . it will still remain non-taxable. However, it will count for the threshold to repay your HELP debt . . . and that last word, “debt” is the key. The repayment of a HELP debt is NOT a tax, it is a debt. Thus, even where income earned by a non-resident is exempt from tax in Australia due to the application of tax treaties and protocols etc, from 1st July 2017 that same income may cause a person to exceed the HELP repayment thresholds, thus causing HELP debt repayments to be levied by the government. Okay . . . so that was a little longer than originally intended . . . sorry about that. I hope that has helped to provide some clarity however. Thank you so much – I can’t thank you enough for your help. This confirms my fears a bit. I’ve been overseas for 15 years now – still have a HECS debt (yep, so old it’s Hecs & not help!). Thanks for a good answer though – even after an hour on the phone in the middle of the night (time difference!) They couldn’t give me a straight answer! No worries whatsoever . . . tax legislation (particularly the Australian system) can be confusing at best so we’re always happy to help! Feel free to sing out if you have any more queries. Hi Shane, I’ve got a further question regarding this topic about how this affects income from the likes of NATO. My wife works for the UN in the US and it is not taxed in the US, just like the original poster described. However there are two components to her ‘income’ – there is her salary, and then there is what they call a ‘post-adjustment’, which is an extra amount that helps cover the living costs in a particular post (i.e. city/location.) E.g. in NYC, where we are, it would be higher than somewhere where living costs are cheaper. Under the first and the third method’s ALL of your wife’s income must be included in the calculation. Accordingly, the ‘post-adjustment’ allowances that she receives MUST be included in this calculation. Sadly, for those expats who work in cities and countries where living costs are significantly higher, the Australian government has not factored those living costs into account. They fail to recognise that a person living in New York requires a significantly higher salary in NYC versus, say Melbourne, just to cope with the living costs. So, the end result is that whilst a person’s high salary is taken into account for HELP debt repayment purposes, their living costs, and ultimately the amount that they are able to save (to repay their HELP debts) is just ignored totally, and personally, I don’t think that is fair or equitable. Okay . . . rant over! Now, assuming that your wife lodges a US tax return annually, I may have some good news for you! Your wife can choose any of the three methods to calculate her worldwide income for HECS/HELP debt reporting purposes and so you should choose the method that generates the best result for you. Of these, I am of the opinion that the ‘Overseas Assessed Method’ is likely to produce the best result for your wife given that your wife’s UN income is not taxed in the US. Under the ‘Overseas Assessed Method’, a person’s foreign‑sourced income for the income year is an amount equal to the person’s income for taxation purposes according to the most recent assessment of the person’s income, for a period of 12 months, by a taxation authority of a foreign country. Bringing that back to plain language, what that means is that if your wife lodges a US tax return, and if that tax return covers a full 12 month period according to the relevant financial year of that country (i.e. you wife can use her 2016 US return for this calculation), then her foreign-sourced income for the year will be the taxable income figure listed on your wife’s return. Now the good news about this is that, your wife’s income is likely to be relatively low given that her UN employment income is not taxable in the US. So, using this method, you wife would simply pick up the taxable income figure from her 2016 US return, convert that over to Australian dollars using the average exchange rate for the year, and then add that figure to any Australian sourced income that she earns – the result will be her worldwide income calculated under the overseas assessed method. that most recent overseas assessment has already been used to work out a person’s foreign‑sourced income for a previous income year – this won’t be applicable for the 2017 Australian financial year as this is the first year that the new HELP debt repayment legislation applies, therefore, your wife’s 2016 US assessment won’t have been used to calculate her worldwide income for any earlier year! Feel free to send me an email if you have any further queries or if you need some help in performing the calculation and lodging an Australian taxation return to report your wife’s worldwide income to the ATO. Thanks for the great response Shane. Unfortunately my wife doesn’t file a US tax return, and in fact I’m told (by both the UN Tax people and my US accountant) that she cannot with just her UN salary. So we can’t use the Overseas Assessed Method. So it looks like we’re stuck reporting her full UN salary and having a huge repayment bill. Really quick question for you. I’m looking at doing the Overseas Assessement method. For this, it says : the period of the assessment must overlap the relevant Australian income year (1 July–30 June). So, if for example, the tax year of the foreign country where I am living runs from January to December – am I able to use this method? The example they use is of someone who is in a country that has a tax year from April to April. So I’m not sure what they mean by overlap exactly. Yes I think you should be able to use that. For the overseas assessed method, where the rules state that your overseas assessment must overlap the relevant Australian income tax year (in this case, 1st July 2016 to 30th June 2017), this means that the year to which the overseas assessment relates, must land somewhere within the Australian financial year. e.g. The 2016 financial year for the USA ran from 1 Jan 2016 – 31 Dec 2016. As the 2017 Australian financial year ran from 1 Jul 2016 – 30 Jun 2017, an as the US financial year concluded partway through our financial year, the US financial year overlaps our financial year and so therefore, a formal notice of assessment received from the IRS relating to the 2016 US financial year, then that tax assessment will be able to be used for the purposes of the overseas assessed method. Thus if you’ve received your 2016 notice of assessment from the tax authority of the country that you live and work (relating to that countries financial year from 1st January 2016 to 31st December 2016), then so long as you meet the other criteria required by the method, then you will be able to use your 2016 foreign tax assessment as the basis of your calculation. Shane – you’re a legend. That makes perfect sense. And – I believe I can make use of that fabulous loop-hole. Winning! So, actually, it looks like we could technically file a US tax return for my wife based on just the small amount of interest (like ~$50) that she earned on her bank account here. Her UN income wouldn’t be listed at all, because it’s not taxable. Her assessed taxable income here would only be that $50. So to confirm, if we did this, you think we could then use the Overseas Assessed Method? Which would show only that $50? And we simply don’t need to report her UN income anywhere? So she would be way under the threshold for HELP repayments? One last question. To do this, we would have to file here 2016 US tax return now and wait for the assessment. Assuming that takes a up to a couple of months, will this be too late to use for the reporting deadline for Australia? What are the implications of being late for that? Regarding the timing of the assessment, if you’re quick you should have the assessment back in time to prepare your Australian return so try hard to get your wife’s US return in ASAP – if you’re planning on doing it yourself check out TurboTax by Intuit. It is a great option and it is very affordable. Has there been any word on what the govt plans on doing if we choice not to pay? Thanks for your query. Firstly, the bad news is that the Senate did pass two bills (that give effect to the budget measures) relating to repayment of HELP debts by overseas taxpayers. mandatory requirements to notify the ATO within certain time limits of whether you currently reside overseas, or intend to reside overseas (including the requirement to provide the ATO with your residential address and contact details. The bills also state that if a person fails to comply (or in your words chooses not to pay), then existing taxation law penalties and shortfall interest will be levied. In short what this means is that if you fail to notify the ATO of your details overseas, or if you do not declare your worldwide income, or if you fail to make the required compulsory repayments then the ATO may choose to hit you with up to $3,600 for a first time offence. In addition to that, the ATO will charge you interest on both the penalty amount and the amount of the HELP debt that was expected to be repaid (from the date that it was supposed to have been paid originally) – this can add up to several thousands of dollars as the years pass by! Practically speaking, the way that the ATO will enforce this is when you either re-join the Australian taxation system by returning to Australia to live and work you’ll be hit with the penalties, or if you already have Australian tax lodgement obligations each year, then they may issue you with penalties for failure to notify them if you omit your ‘assessed worldwide income’ figure from your non-resident Australian tax return. Natalie . . . I hope that helps explain things for you? From what you’re saying, to my untrained eye it seems like the bills only have teeth if ex-pat Aussies return to Australia to work and/or live. What about those ex-pats who have assimilated to their new country and will never return to Australia? Apologies for my delayed reply – it is an interesting question that you raise. As far as we understand, you be subject to the broader tax compliance penalties comprising of fines for late lodgement of returns, interest on overdue payments and non-compliance penalties. I note that you asked the question relating to expats that will never return to Australia but it is still worth noting that if you were to return, under the current tax system the ATO has the capacity to also apply for departure prohibition orders against individuals and those orders would be enforced by the Australian Federal Police at departure points. But even if you don’t intend to return to Australia, this legislation may still have teeth because the government has the power under Clause 18 of the Australian Passports Bill 2004, to reject/deny your passport renewal application where outstanding debts to the Commonwealth exist. So unless you are a dual citizen that never wishes to return to Australia, ever, you may not want to avoid your HELP debt repayment obligations. Beyond this, if you have any questions or require help with your tax returns and tax obligations, feel free to email our team. I’m a dual citizen (Uk/Aus) and permanently moved to the UK living on my UK passport as a UK resident two years ago. I have a Hecs debt, but there’s no information on dual citizens as opposed to Australians simply working overseas. Can you clarify if these new laws will still apply to me? Unfortunately your dual citizenship status won’t have any bearing on this issue sadly. In short, if a person, of any nationality has a HECS/HELP debt then these laws will apply to them . . . meaning that you’ll be required to notify the ATO of your worldwide income and perhaps be subject to HELP debt repayments where your income exceeds the relevant thresholds. Feel free to get in contact with our team if you want to have a chat over the phone to discuss your circumstances. Can you clarify how this repayment is to be made to ATO. If we are reading this correctly if your taxable income O/S is > $AUS100000 , then the repayment is ~ 8% which is a fairly large chunk. Are there repayment plans or is a payment expected as a lump sum. Regarding repayment of the debt, in the first instance, the ATO will expect the debt to be repaid in a lump sum. However, they do realise that some taxpayers will not be able to do so, and thus they do offer monthly repayment plans of 6, 12 or 18 months duration typically. Just bear in mind that the ATO will also charge hefty rate of interest on the outstanding amounts too, so you’ll also need to factor that into account as you’ll end up paying more than just the 8% repayment. is the threshold measured on our income after tax? I am in the U K so our tax year is April to April. how will that affect my lodgement? If the resultant amount is greater than above AUD$13,717 and below AUD$54,869 for the 2016–17 income year, although your income is below the minimum repayment threshold you will still be require to declare your worldwide income to the ATO via MyGov or by lodging a return. If your above the AUD$54,869 for the 2016–17 income year, you will be required to make a HELP debt repayment as your worldwide income will have exceeded the minimum repayment threshold. A final note – Unfortunately in bringing down their latest budget a few days ago, the Australian government are currently seeking to change the minimum repayment threshold to $42,000 and at that level, an expat would be expected to pay back 1% (Meaning 1% of $42,000 – i.e. the expat will repay $420 of their HELP debt). As your income increases beyond $42,000 the HELP debt repayment percentage also increases to a proposed maximum of 10% of your income. Alternatively although not up to date with the lasted budget announcements handed down a couple of days ago, take a look at the following ATO pages explaining HELP debt repayment rates and HELP debt repayment obligations for non-residents/foreigners. I’ve been living overseas for 6 years and still have a HELP debt. I’m earning over the threshold so I will need to start making compulsory repayments. My initial understanding was that I wouldn’t be required to make the repayments until Oct 2018 based on my income from the 2017/18 year but this isn’t incorrect. Is it correct that I need to make repayments in Oct 2017 based on my income during the 2016/17 year? And does this repayment need to be in full? Unfortunately you’ll need to start making HELP Debt repayments from 1st July 2017 based on the balance of your HELP debt as at 30 June 2017. If the lodgement date of your tax return is 31 October 2017, then you’ll ned to make your HELP debt repayment within the month after this date typically. Now, the amount that you will have to pay will depend upon the level of your income and the relevant repayment rate that relates to that income level. Unfortunately in bringing down their latest budget, the Australian government are seeking to change the minimum repayment threshold to $42,000 and at that level, an expat would be expected to pay back 1% (Meaning 1% of $42,000 – i.e. the expat will repay $420 of their HELP debt). As your income increases beyond $42,000 the HELP debt repayment percentage also increases to a proposed maximum of 10% of your income. I pay taxation on my UK income, do I also need to pay taxation in Australia also when I declare this income? Am I going to be double taxed essentially? Thanks for your question – firstly, there is a double taxation agreement (DTA) between Australia and the UK the intention of which is to avoid taxpayers from being double-taxed by both countries so you’re unlikely to be double-taxed. But this doesn’t mean that you won’t pay tax in both countries on that income. Confusing right? Well, the way it works in a nutshell is like this . . . as far as the DTA goes, you’ll be a resident of one of the countries for DTA purposes. That country will generally have the overarching right to tax your income from the UK. Now, the DTA may also allow the other country to tax that very same income, however, another clause in the DTA will require that second country to give you a tax credit for the tax that you’ve paid in the first country (thus eliminating any double-taxation). Still confusing right? Okay so let me run you through a simplified example to explain generally how things work. Lets assume that both the UK and Australia will tax your UK income. In that instance, lets assume that your tax payable to the UK government was the equivalent of AUD$10,000. If Australia also had taxing rights on that income and hit you up for $15,000 of tax payable on that income, the DTA would require Australia to give you a foreign tax credit for the tax paid in the UK (in other words, Australia would credit you $10,000 against the Australian tax payable, as this was the amount of tax that you paid in the UK). So as far as Australia goes, you’d be required to pay $15,000 minus $10,000. Thus, you’d have $5,000 to pay in Australia. Now, just as a final point, the real question will be whether Australia has taxing rights on your UK income and ultimately, this depends upon your residency status for Australian taxation purposes. If you are a resident, then Australia has the right to tax you on your worldwide income and so your UK income would be taxable by Australia. If however, you are a non-resident for Australian taxation purposes, then Australia can only tax your Australian source income. If your income is sourced in the UK as you’ve stated, then this would not be taxable by Australia, and in this instance, the double taxation agreement doesn’t come into play at all….the income is simply excluded from your Australian return. 10% on gross income seems unreasonable. So if I make the equivalent of AU$200K per year, I’m expected to make a $20,000 one-time payment within 1 month of receiving my bill? That’s not practical. Thanks for your comment. The new rules are pretty tough sadly, particularly when factored in with the new Budget changes! Take a look at my comments in my budget update posted earlier this month 2017 Federal Budget – Expats clear losers as the government intend to not only reduce the repayment threshold, but maximum repayment rate from 8% currently to 10%. Beyond that, we also think that it’s egregious that non-resident expats (for Australian taxation purposes), will be forced to declare their worldwide income to the ATO, notwithstanding that their Australia has no jurisdiction on their non-Australian sourced income, but that’s another story entirely so I won’t go into it here! Now, assuming that you do earn the equivalent of AU$200k per year, for the 2016/2017 year (ending in just over a month from now), you’d be required to make a HELP debt repayment of 8% equating to $16,000. This would be payable towards the end of November sadly. If you were unable to repay that amount in one lump sum, the ATO would allow you to enter into a repayment schedule of 6, 12 or 18 months, however they’d also charge a hefty rate of interest on the debt over the period also, so that needs to be considered also. You mention that to pay this amount within one month of receiving your bill is not practical, and we agree, however the ATO is unlikely to be as sympathetic. Instead, they’ll simply argue that this legislation was proposed in 2015, that non-resident expats have had over two years to factor in the impact, and that expats should have been preparing for this since then. It’s harsh, but that’s the line that they’ll take for sure! In relation to the increase to the maximum repayment rate from 8% to 10%, our understanding is that this is not scheduled to occur until 1st July 2018 and therefore will only take effect for the year ended 30th June 2019, with 10% HELP debt repayments to be levied after that date based on your 2019 worldwide income. Stay tuned though as we’re likely to provide an update some time down the track. I wish the news was better for you regarding these changes Ashley, but I hope that helps above? I’m curious as to how this legislation can be applied retrospectively, and the legalities associated with it. Is anyone challenging it? I have been living in the UK for over 10 years, and have not had any Australian income during that period. I have a HECS debt, and at the time of taking on that debt, the terms were that repayment was required only when earning a taxable Australian income over a specified amount. How can the terms of repayment legally change retrospectively, and the repayment rates be so wholly unreasonable? In addition, the fact that those of us with repayments to make would also have to foot the cost of extortionate international transfer fees seems additionally unfair. I’d also like to know if the repayments would reduce my taxable income in the U.K., as they would if I were still in Australia? Also, if I were in a position to pay my debt in full in one payment, is there a 25% discount applied? At the time of incurring the debt (1998 through to 2003), had I paid my fees in full, I would have been entitled to that discount. Thanks for your comments and questions. I wish I could provide you some comfort about these new measures but I’m not sure that I can. Hopefully though, I’ll at least be able to clarify some of your questions for you below. Firstly, as far as we know, nobody’s challenging the legislation at all and in fact, the legislation wasn’t actually brought in retrospectively (although it does appear that way). The government first introduced this legislation in their 2015 budget with the intention that it was to apply prospectively from 1st July 2017, some 2 years after it was first announced. Now it’s true that it applies to debts that were incurred prior to the budget announcement, and perhaps that’s what you were referring to. As has always been the case with Australian tax legislation, the government brought this legislation in to close a loophole that had existed for many years. Their justification was that it was grossly unfair that Australian resident taxpayers were required to repay their HECS/HELP debts, whilst non-resident Australians earning the equivalent amount were not required to simply because of how the HECS repayment threshold was calculated (based on Australian income originally, not on worldwide income as present). So the government’s logic is that they are simply closing a loophole that existed unfairly for resident taxpayers and the country as a whole because it allowed people to avoid repaying their legitimate debts to the government for many years. They also argue that this legislation is not retrospective because your debt always existed, and that they have not asked you to repay your debts in the earlier years but instead that they’re only asking you start repaying your debts from this point forward. Unfortunately, they have the right to do so, and sadly, the ability to do so also. Q:/ I’d also like to know if the repayments would reduce my taxable income in the U.K., as they would if I were still in Australia? Actually the repayment of your HECS debt doesn’t reduce your income tax liability in Australia, nor will it in the UK. HECS repayments have never been deductible in Australia and do not reduce a person’s taxable income at all. All that happened was that a person’s taxable income per their tax return, determined the amount of HECS that was required to be repaid each year, and the HECS repayment itself simply reduced the outstanding balance of HECS debt payable. Q:/ Also, if I were in a position to pay my debt in full in one payment, is there a 25% discount applied? Sadly no, there’s no discount any more. As you probably know, the discount was originally 15 % but then was increased to 25% in 1993. Since that time though the discount has been progressively lowered to 20% in 2005 and 10% in 2012, and then more recently it was reduced to a 5% discount and now sadly, the discount has disappeared totally. So with no discount available, the only benefit in repaying one’s HECS debt in full prior to 30 June 2017 (and it is a big benefit) is to avoid having to report your overseas income to the Australian Taxation Office, who we suspect, will seek to use that information for potential audit purposes. We believe that the less that the ATO knows about the income that you earn over which they have no jurisdiction, the better! Sara . . . I know that there’s not a lot of good news in what I wrote, but I hope that it has helped to clarify things for you. -I have not lodged since 2012 when my Centrelink FTB stopped (we are allowed 2 yrs max by law). -I have only spent 4 weeks in Oz during that time. QUESTION: In July 2015, my wife and I jointly bought a vacant block in WA. In June 2017, the house will be completed and my wife and 16 yo child will move back there while I stay overseas 44 weeks a year. Will I therefore still be classed as an expat? 2. I can easily add up my salary for the year as it appears in my bank account, but what about the rental, living allowance and per diem rates my company pays for me? Do I include them as a income? 3. So do I understand correctly that ALL expat Aussies must file each year whether they are HECS debtors or not? 4. Would the best way to submit be by e-tax (if possible) or by one of those ATO rag mags they publish each year? Thanks for your comments and for your questions. Okay, so let me try and answer your questions quickly – please note though, that because the way Australia’s tax legislation applies to a person, depends very much upon their own personal circumstances, so just bear in mind that my answers will be relatively general in nature as I don’t know enough about your personal circumstances. 1. On the face of it, it appears that you would be a non-resident. However, Australia’s second residency test essentially states that if a person’s domicile is Australia (e.g. you were born in Australia, and/or you hold an Australian passport) then you WILL be a tax resident of Australia, UNLESS you have a permanent place of abode overseas. So in answering the above, I have assumed that you meet the criteria and that you do indeed have a permanent place of abode overseas. Regarding your wife and child returning home to WA to live in your new property, it won’t necessarily cause your own residence status to change, however the change in your family circumstances is a big factor towards Australian tax residency, and so those circumstances would need to be weighed against your other personal circumstances in order to determine with some degree of certainty, whether your residency status will change. I wish I could provide you greater clarity but your question is really something that should be explored in more detail via a 1-2hr tax consultation. If you’re interested in doing so, feel free to book on our Book an Appointment link above. the comprehensive tax based assessment method (see below). If you use the comprehensive tax based assessment method you’ll definitely need to include the allowances and per diems in the calculation, however you’ll also be able to subtract any expenses that would ordinarily be allowed as deductions (if that income and those expenses were incurred as a resident), so that may help. The resultant figure would then need to be converted over to Australian dollars at the nearest actual exchange rate for the year, and the result (in Australian dollars) then needs to be added to any other Australian source income that you might have (less relevant deductions). The total of both is then required to be reported to the ATO as your reportable worldwide income for HELP debt repayment purposes. Confusing right? Hopefully though, we’ll be able to shed more light on how to calculate your worldwide income as further details come to light in the coming months. 3. Must ALL Expat Aussies file each year whether they are HECS debtors or not? Actually, it’s a little known fact that if you have a TFN, the ATO will expect you to lodge a tax return regardless of whether you have a HECS/HELP debt or not. A lot of expats do not realise this and as a result face very serious (and expensive) late lodgement penalties and interest penalties of up to $900 per year for each year that is outstanding (and these penalties will increase to $1,050 per year from 1st July 2017). So it pays to ensure that your tax returns are always up to date! However, IF you a non-resident expat, and IF you DO NOT generate any Australian income, then instead of lodging a full-blown Australian tax return, instead you can lodge a ‘Return Not Necessary’ form. Doing so will satisfy your lodgement obligations with the ATO. If however, you are a non-resident with an Australian tax file number and you DO generate some Australian source income, since non-residents are taxed on their very first dollar (because non-residents are not entitled to any tax-free threshold), you WILL be required to lodge an Australian tax return (rather than a ‘Return Not Necessary’ form). by reporting your worldwide income through the government’s myGov facility. The summary of all this though is that as an expat with an Australian tax file number, you always have annual lodgement obligations. Every Australian expat is required to lodge an Australian tax return or a ‘Return not necessary’ form every year. If you haven’t done so, we recommend that you urgently contact us to assist, otherwise you run the risk of thousands of dollars in tax penalties and interest payable on those penalties, dating back years! Ultimately that depends upon your circumstances and the complexity of your circumstances, including whether or not you generate any Australian source income (refer answer to question 3 above as this lays out the submission options). Naturally though, as accountants, we have a vested interest and will always be keen to promote submitting your details via a tax return prepared by our team [**cheeky grin**] however as explained above, you can submit your details through the ATO’s myGov facility, through their myTax online tax return facility, or via an accounting practice such as ours. If you have any degree of complexity or are unsure about how to calculate your worldwide income and report it, then in my (vested) opinion, the best way is to seek the services of an accounting practice such as ours, to prepare your tax return. However, if you are an expat that is confident and capable of calculating your worldwide income in accordance with the rules, and if you don’t earn any Australian source income then the simplest way to report your income is probably via the government’s myGov facility. Ronald . . . what began as a short exercise appears to have developed into “War and Peace” so apologies for the length of my reply. I do hope though that I’ve answered all of your questions and have been of some assistance. approach to tax collection only serves as a minefield for non-specialists like us, so I agree an appointment would be a sound idea for the 16-17 tax year. Regarding your 2017 returns, as you know, we’d be more than happy to assist – feel free to reach out to us whenever you’re ready to proceed and we’ll sort everything out for you. Hi Shane it’s Ashley again. Thank you very much for replying to my question. I just want to clarify something you mentioned in a reply to Ronald regarding filing tax returns. I permanently left Australia in May 2013. I checked the permanent departure box on my customs declaration form. I submitted a tax return that first year to reflect the income I made in 2012-2013 in Australia. I have not submitted a “Return not necessary” since then. I have made no Australian income since I left. Is this a problem?? I’m in the same boat – I haven’t filed anything since I left in 2001! eek! I thought we were not required to file anything when we were tax residents overseas. Thanks for your message also – I’ve just replied to Ashley’s message so take a look as that as much if not all of what I wrote will apply to you also. Thanks so much Shane. You’re a lifesaver for all us clueless expats navigating the muddy waters of Aussie taxation rules! No worries at all – happy to help! No worries at all. Okay, so it is great that you submitted a 2013 return reflecting your non-resident status, however that doesn’t mean that you don’t have lodgement obligations for each subsequent year. In fact this is one of the most common misconceptions that we encounter when dealing with our clients . . . most expats are under the mistaken impression that if they are non-resident, that they no longer have any Australian filing obligations. As I mentioned in my reply to Ronald, if you haven’t lodged either a tax return or a ‘return not necessary’ form, then we can almost certainly guarantee that the ATO will be expecting tax returns from you for every year since 2013. As time drags on and this issue remains unresolved for each financial year, you do run the risk of incurring hefty failure to lodge penalties running into the thousands of dollars over that time sadly, so it would be worth trying to sort these issues out as soon as you can. Now, the way to solve this depends on whether or not you generate any Australian source income that needs to be included in an Australian tax return. If you do, then you’ll actually need to lodge a tax return instead of a ‘Return not necessary’ form. If you do not generate any Australian source income that needs to be included in an Australian tax return, then you can lodge a ‘Return not Necessary’ form for each relevant year . . . and quite frankly, this is preferred as it’s the much cheaper option if you engage an accountant to help you with it (versus a return which tends to be more costly). Just remember though, that with the new HECS/HELP debt reporting thresholds, that from 1st July 2017, if your worldwide income exceeds $13,717 then you’ll have reporting/lodgement obligations regardless. If you need some help with all this, we can help you out quite quickly and easily – basically we just need your full-name, date of birth and tax file number. We’ll then add you to our tax agent portal where we can check on the status of any outstanding returns, check to see whether the ATO have yet levied any penalties or not (if not, then it will pay to get everything tidied up before they do), and we can check to see whether there is any Australian source income that needs to be included in a return for you. If not, then we can lodge the return not necessary form for each relevant year for you. I finished my degree in 1995 and moved to the UK in 1999. How do I know if I still have a HECS debt. The Australian Government stopped sending me updates on my HECS loan many, many years ago and I was told it was most likely written off. Have any HECS debts ever been written off? Thanks for your questions. There’s a couple of ways that you can learn whether you still have a HECS debt. Firstly, you can register for an account with the government’s online myGov tool. Any HECS debt liability that you have will be displayed in the Australian Taxation Office section within myGov. Alternatively you can engage an accounting firm (such as ours) to check this for you via our Tax Agent Portal facilities. We’ll be able to check this for you immediately – all we need to do so, is your full name, date of birth, tax file number and current residential address. With that information we can add you as a client of our practice, check your details and let you know the same day. Regarding your latter question about whether any HECS debts have ever been written off – not to our knowledge however it is not outside the bounds of possibility for some debts to have been written off . . . it’s just that in over 22 years of working in public practice and preparing client taxation returns, I’ve never seen it personally! Hope that helps – let me know if you need some assistance checking whether you have a HECS debt – we’re always happy to help. I finished mine in 2001 – and moved overseas the same year. I created an account on myGov and found out that I not only still had a debt, I had incurred thousands in “interest” since the original debt. So what was originally around 15,000 is now about 20,000 dollars. I was also told it would be written off, but alas, no. Wow – sorry to hear that Trillian! I suspect many other expats will find themselves in the same boat sadly! By the sound of things though at least you’ll be prepared for these new rules to kick in by the end of the month. Does this mean they will compare my reported expat income to what actually went into my UAE account to verify my self-assessment? If this is the case, the ATO will need to understand that my bank deposits have been inflated by the sale of belongings worth $30k and the receipt of employer refunds on cash I paid for educational allowances worth $15k and health etc. Or does this CRS move not really affect people like me? We can’t say for sure that that it won’t cause you any problems however the ATO does rely heavily on its international tax sharing agreements (with over 168 countries at last count) and data matching. Accordingly where there is a difference between your reported worldwide income and the income that lands in your bank account, it is likely to raise a red flag with the ATO thus increasing the chance that you may be audited. If that occurs, you would need to be able to prove that the deposits to your bank account were not required to be included in your worldwide income. The unfortunate aspect of this is that you’ll be required to deal with the audit resulting in unnecessary compliance costs and time wastage in having to deal with the issues…in short it’s likely to be costly and frustrating. Having said that, there’s no guarantee that you will be audited and realistically….you’d have to be unlucky if that were the case. Just wanted to give props to Shane for this awesome article and his attention to the comments. Thanks so much for those very kind words. The team and I really appreciate you taking the time to do that. We left Australia in 2001 and have since acquired Swiss citizenship. Can they still go after us if we give up our Australian citizenship? Just to follow up my previous post, and to highlight the unfairness of how the new rule is to be applied, we were still students when we moved overseas – I transferred from UQ to UNE so I could finish my BA and do my MA online, and my husband went from his BSc in Australia straight into a PhD programme here, so we have never had the opportunity to pay off our HECs debts like people still in Australia. Now we are expected to pay it off at rates applicable to Australian incomes in Australia. Our combined Swiss income would be considered quite high if we got it in Australia, but we don’t! We get it in Switzerland, where taxes, rent, health insurance and the cost of living mean we have *very* little left over each month. If we were forced to pay 10% of our income to the ATO, we would end up on the streets. We aren’t trying to get out of our debt, we knew we were signing up for it when we started university, but the meanness with which the rule is being applied means we have no choice but to try to avoid paying it however we can! Thanks for your comments . . . I can certainly empathise with your situation because you’re right – this new legislation doesn’t factor into account the high costs of living in some jurisdictions despite conveniently factoring in the high incomes that you need to survive there. It totally ignores the high cost of living and so sadly, there will be many Australian expats that will be in a similar position to yourselves. You could enter into a payment arrangement with the ATO and seek to repay the amount over 6 or 12 months or so. Bear in mind that the ATO will charge interest on the amounts and that currently the rate that they charge is an exorbitant 8.73%, some 4% above some current Australian mortgage rates! Given that your HECS/HELP balance owing is a actually a debt, you could perhaps refinance that debt by considering taking a loan out in Switzerland. A quick search online reveals that you may be able to take out a personal loan at rates of around 5.5% or if you own a property in Switzerland, you could perhaps drawdown on your mortgage and access interest rates as low as 1.55%. This would give you the ability to minimise the cashflow drain of repaying your HECS/HELP debt as you’ll be able to structure the repayments over a longer term (so the monthly repayments would be less), and secondly, you would pay less interest than that which the ATO would seek to charge you. Finally, repaying your HECS/HELP debt in full like this would alleviate you from having to report your worldwide income to the ATO – and that’s a good thing! Unfortunately, as you can see, there aren’t a lot of options, but hopefully the above helps. Thanks for your question. With this new legislation the issue isn’t linked to a person’s citizenship at all. Additionally a person’s HECS/HELP debt is not even a tax issue technically – instead, a person’s HECS/HELP debt is a legal and equitable debt owed to a third party. Think of it in just the same was as if you had borrowed money from your bank – it is a legal debt owed by you to the bank. And as far as your HECS/HELP debt goes, that is a legal debt owed to the Australian government and it is important to distinguish that this is not an additional tax levied on taxpayers, it is a debt owed. It’s just that the method of collecting those debts, is via the ATO and the taxation system. Accordingly, whether a person retains or gives up their Australian citizenship is irrelevant sadly, as a person’s HECS/HELP debt is based on an arrangement entered into between yourself personally and the Australian government directly. So, getting down to your question, this means that technically the Australian government could ‘go after’ you if they wished. IF you chose to do nothing, the ATO could penalise you up to $1,050 per year (at current penalty rates) for failure to provide the required information and they could levy a default repayment assessment amount on you, thus requiring repayment of your debt. If you were to refuse to pay this, it would be somewhat difficult for the ATO to be able to chase you up and enforce payment, particularly if they were unable to contact you and particularly if you were to never to return to Australia, and never were to ever again apply for an Australian passport. It should be noted however, where a taxpayer owes money to the government, Australian government departments, including the ATO have the power to apply for departure prohibition orders against individuals and those orders would be enforced by the Australian Federal Police at departure points. So if you were to return to Australia at any point, this is major risk that you could face. But even if you don’t intend to return to Australia and you have retained your Australian citizenship, this legislation may still have teeth because the government has the power under Clause 18 of the Australian Passports Bill 2004, to reject/deny your passport renewal application where outstanding debts to the Commonwealth exist. Thanks for the comprehensive reply, Shane. Much appreciated. It then goes on to tell me that I have to phone them, and that I should have “Have three pieces of information ready to establish your identity” but doesn’t tell me what they are, and the link in the text takes me to the “phone us” page, which is also completely lacking in that information! Given that I have to call an international number on a mobile phone, I was wondering if you might know what those mysterious three pieces of information are? Wow . . . sounds like you’ve been given the runaround however it doesn’t surprise me sadly. And the fact that the government doesn’t have enough information to verify your identity also doesn’t surprise me. In fact as I’ve stated in other articles and various posts, I believe that in bringing in this new legislation, one of the government’s main objectives was to use this to keep tabs on Australian expats overseas and by requiring you to provide more information, and so far, what you’ve experienced is an example of that! Regarding the information that they require, usually they request reference numbers from any previous ATO correspondence that you may have received previously, or other information including your passport details, drivers license, medicare card details etc. Best of luck with sorting it our Rachael – let me know if we can help in any way. I had to give my passport number, drivers license number, birth certificate and an outdated medicare number and that seemed to work for them. First of all, thank you for this thread. I moved to the US in April 2015, and over the 2016-2017 financial year, have earned more than the minimum threshold. My circumstances are quite straightforward, in that I have only been receiving income from one employer at a time, so I have already calculated my gross income for the year. Based on this information, should I be using the first option (simple self-assessed method)? Any explanation or clarification would be welcome. Thanks for your question also. Yes, there are three methods that you can use to calculate and report your world-wide income the ATO for HECS/HELP debt reporting purposes. Really the choice of method is entirely up to you however typically, it is recommended to use the method that best serves the purpose of what you are trying to achieve (vague I know, but I’ll explain). If your aim is to minimise your HECS/HELP debt repayments then you’ll want to choose whichever method results in the lowest calculation of your world-wide income as the compulsory HECS/HELP debt repayment (based on a percentage of that income) will be lower. If your aim is to repay your HECS/HELP debt as soon as possible, then you’ll want to choose whichever method results in the highest calculation of your world-wide income as the compulsory HECS/HELP debt repayment (based on a percentage of that income) will be higher. However, for both purposes above, the only way to work out which method produces the best result, is to perform the calculation under each method, compare the results and choose the result which best serves your purpose (above). Usually though, people seek to minimise their repayments though. Of each of the methods, I believe that the overseas assessment method is probably the simplest and easiest to implement, even more so than the simple assessment method, so perhaps use that method and compare the result with the calculation that you’ve already performed. I have avoided lodging etc but ATO finally sent me an email saying I needed to as I am on record as leaving permanently so I didn’t have to lodge tax returns and vote. How do we calculate all 3 options to determine which will give us the lowest payment option? Thanks for your message. I hear you about the cost of living in the UK given the low comparative salaries to Australia – from my regular travels to the UK, I’m always astounded by the costs. Regarding how to calculate and report your worldwide income I wrote an article on that a few months ago – perhaps take a look at that (details below) as it should assist. If you’re still unable to work it out, feel free to reach out to me at info@expattaxes.com.au as we’d be more than happy to assist you. Good work on taking the time to reply to everyone. I have a quick question. I prefer to have my address still listed as my aussie address on the my gov site even though I been overseas a few years. I plan to pay off my HECS debt in full in the next few weeks (so Definitely before 31st October), but it will be after the 1st July deadline. Do u forsee a problem if I don’t update my address details? I just prefer the govt. Doesn’t know where I live or my overseas income. Thanks for you questions. Firstly, regarding your address, whilst it is okay to use an Australian address as your nominated postal address, technically your residential address should be the address where you currently reside (overseas). Using an Australian residential address, whilst not fatal, is likely to increase the chance of an ATO audit as having an Australian residential address, without significant Australian source income, (as is often the case for non-resident expats) raises red flags with the ATO, thereby increasing the risk of audit. So that’s the first point – if you can, update your residential address to reflect your overseas address, but by all means use an Australian address as your postal address, particularly if you have people checking your mail for you. The second point that I’d like to raise relates to the timing of your HECS repayment. Although you intend to repay 100% of your HECS debt prior to 31st October 2017, (the lodgement date for your tax return), the trigger for the requirement to report your world-wide income to the ATO, is not whether you have any outstanding HECS/HELP debt at the date that your return is due (31st Oct), but instead the trigger is whether or not you have a HECS/HELP debt outstanding as at 30th June 2017. Accordingly, I believe that you will still be required to report your worldwide income to the ATO, (because at 30th June 2017 you had an outstanding HECS/HELP debt payable), notwithstanding that you intend to that amount in full prior to the due date for lodgement of you return. So please keep this in mind. On a related note, if you had wanted to avoid reporting your worldwide income to the ATO, the only way to have done so, would have been to have repaid your HECS/HELP debt in full prior to 30th June so that no debt existed at 30th June and so that the requirement to report your worldwide income was not triggered. How/when does one pay the levy? When I called the ATO, they’re a little fuzzy on how this actually works (perhaps it’s my situation). I moved back to Australia earlier this year, but I did have income from my US job (where I was for 5 years). I plugged the numbers into the lodgement system and it says I have an overseas HELP levy of $13K! Then it says I have a refund of $10K. I have been paying back to my HELP debt since I returned to Australia through PAYG (and will continue to do so this FY). Does this mean after I lodge my return, I have to pay $13K? And is this in addition to what I pay through PAYG already. Very confused! Thanks for your question this morning. In order to assist, I’m going to need to ask you a few more questions as what you’ve described does sound a little odd. Accordingly, I’ll send a quick email your way so that we can arrange a time to chat about your circumstances over the phone. I think that may be the best way for me to explain how it all works based on your circumstances. How does that sound? I’ve only recently become aware of the Australian government’s changes to collecting outstanding HECS debts. Would you be able to advise me on my own circumstances? I am a British citizen with Australian permanent residency. I have one of the old visas – I only have to return to Australia every three years for my permanent residency to maintain. Quite literally, I only have to arrive. As soon as I depart, the three year countdown recommences. I do have an outstanding HECS debt, which I incurred in the late 1980 – early 1990s. In 1997 I left Australia permanently. I informed the ATO that I was leaving permanently. I have lived and worked in the United Kingdom since then. I have no property in Australia and have never earned any Australian income since 1997. I have returned to Australia several times to visit friends and family but have never stayed for anything more than a month at the most. I’ve read through the ATO site and I’m not certain what my status is for tax purposes. Any advice you could give would be very gratefully received! Thanks for your question and for the background information that you’ve provided. Unfortunately regarding your old HECS debt, you’ll also now be required to report your worldwide income to the Australian Taxation Office (ATO) under these new rules. And speaking of these new HECS repayment rules, these apply to non-residents for Australian taxation purposes who have a HECS debt. Therefore, you’re one of the targets of this legislation and under this legislation, the Australian government wants non-residents to repay their HECS debts. In short the issue is not really about Australian tax. Your HECS debt is just that, a debt that is owed to a third party, in this case the Australian government and the ATO’s role is simply to collect that debt. As such, the new rules require anybody with a HECS debt who is not a tax resident of Australia to report their worldwide income and make a compulsory HECS repayment based on that worldwide income amount. So, the summary of the issue is that unfortunately these rules apply to you, meaning that you’ll also need to report your worldwide income and potentially make a HECS compulsory HECS repayment if your worldwide income is over $54,869 (note that even where your worldwide income is below this amount, but above $13,717 you will still be required to report your income). If you decided to ignore these rules then potentially it may have an impact on your permanent residency status as the ATO (and other government departments) do have the power to request that passports and visa’s not be approved at the time of renewal where an outstanding debt is owed to the government. Accordingly, I think this is probably something that you shouldn’t ignore, particularly if you intend to maintain your PR status. I wish I had some better news Simon, however I hope that helps to clear things up for you. I’m based im the UK. Do pension contributions (5% from company, 10% from me, no tax paid) form part of the Help Repayment Income amount? The differences in the pension/super system between the two countries make this difficult to understand. My P60 (UK tax statement) doesn’t list this in my gross income. No, pension contributions do not form part of your worldwide income for HELP debt reporting purposes. If it is not listed in your P60, it is not relevant for the purposes of this calculation. Perhaps give the calculations another go, but if you’re still having difficulties understanding how this all pulls together, send us a message as we’d be more than happy to assist you by attending to the calculations and lodging your return for you. Also living overseas earning above the threshold and have an outstanding HECS debt. When lodging the tax return through myGov, do they ask you to upload a copy of the foreign tax assessment? Where I am in Germany lodging a tax return is not mandatory as an employee of only one employer. My assessment was lost during a move so will need to organise a new one, which can be a pain here. Alternatively I could just calculate my gross income through the 12 individual payslips I have for the year, as the final figure on the yearly assessment is the same. No they don’t require you to upload any supporting documentation at all. Based upon what you’ve written, I think that the simple method (i.e. using your payslips for each month) will likely produce the best result for you so perhaps use that method. If you are having difficulties with the calculation/s, feel free to get in touch with us – we’d be more than happy to help. From 1 January 2016, if you have moved overseas and have a Higher Education Loan Program (HELP) or Trade Support Loan (TSL) debt, you will have the same repayment obligations as people who live in Australia. This applies if you already live or intend to move overseas for a total of more than six months in any 12-month period. You will need to complete an overseas travel notification using our online services via myGov. You will also be required to start repaying your debt from 1 July 2017. If you have a Financial Supplement, Student Start-up Loan (SSL) or ABSTUDY Student Start-up Loan (ABSTUDY SSL) debt and go overseas, we will continue to maintain your loan account. Your debt will not be waived and the amount outstanding will continue to be indexed each year until you have paid off your debt. You can still make voluntary repayments when you are overseas. Well, that’s the good news ——- at least for now! ** The SFSS ceased in 2003. It allowed you to trade in, say $2000 of your annual Austudy grant and get a loan for $4000. It was an odd arrangement “buying” extra cash, but it helped us survive. Thanks for your comment – it’s great to hear from you again. Regarding your SFSS loan, you are absolutely correct. The ATO will continue to maintain your SFSS loan account as is, because the new legislation requiring non-resident expats (who earn over the HECS/HELP debt repayment threshold) to repay their HECS/HELP debts, ONLY applies to Higher Education Loan Program (HELP) or Trade Support Loan (TSL) debts. So, as you said, that’s good news . . . for now. Bear in mind that Australia will hand down it’s 2018 Federal Budget tomorrow evening, so this it’s entirely possible that this may change . . . tomorrow! However, let’s hope not! No worries at all – happy to assist. Thanks for all the information, even if it’s making me nauseous! I’ve lived in the U.S. since 2004, and have not filed with the ATO since (no Australian income in that time), and I have HECS debt. 3. Pay penalties and interest on those forms. And if I don’t do all this, I run the risk of being detained in Australia (for those debts) when I return to visit family. Thanks for your message. This new legislation is indeed nauseating. Now regarding the 3 points that you mentioned in your message, you’re not quite right. The reason is because you’ll only be able to file ‘Return not necessary’ forms for 12 years (2004 to 2016) potentially, assuming that you have not earned even $1 or Australian income (e.g. from bank interest etc). Regarding your HECS debt, for each of the 2017 and 2018 financial years, you will actually be required to calculate and report your worldwide income (to the ATO) via the preparation and lodgement of a 2017 and 2018 taxation return (including foreign income reporting schedule). This will likely result in a compulsory HECS repayment for each of those two years. Regarding penalties, I don’t envisage that you would be penalised for lodging the 12 years worth of ‘Return not necessary’ forms however you are likely to be penalised for late lodgement of your 2017 return (noting that 2018 is not due until 31st Oct 2018 so you still have time for that return). If you would like our help to prepare your 2017 & 2018 tax returns and ‘Return not necessary’ forms for you, we’d apply to the ATO to have your penalties and interest reduced to nil as part of our service – it’s not guaranteed that we will be able to convince the ATO to do so, however more than not, we’re usually successful. Jonathan, if you’re interested in getting us to help you with all of this, please let me know – I’ll then get in touch with you to work out next steps. Thanks you so much for the clear and detailed help! I would like to work with you to get all this sorted, and I look forward to hearing from you about the next steps. No worries at all Jonathan – we’re always happy to help. Rather than respond about next steps here, Ive sent you a message offline so take a look at that and let me know if you have any questions. I’m an Aussie who has lived in the Uk since 1991 and I’m now a dual UK/Australia passport holder (UK passport since 2007). I studied for one year under HECS in 1989 (i think that’s when it started?). 30 long years have passed since then…are they still after my HECS repayment? Will they stop me at passport control if I go back for my brother’s wedding? I’m only visiting for 10 days – I’ve not earned a great deal since I mpoved here. Thanks for your comment and for your questions. Now, whilst I doubt that you will be stopped at passport control, it is entirely possible . . . just unlikely. Sadly, regarding your HECS debt, notwithstanding that you incurred that debt 30 years ago, unfortunately the Australian government won’t have written off the debt and as such they’ll be chasing this up from you. This means that you are likely to have tax lodgement obligations for the 2017 financial year (at a minimum) and as such, you’ll be required to calculate and report your worldwide income for HECS/HELP debt reporting and repayment purposes. If you need some help with this, please feel free to contact us as we’ll be able to sort this out for you.